One of a suite of four sofas and eight chairs designed by Robert Adam and made by Thomas Chippendale in 1764/65 for Sir Lawrence Dundas. 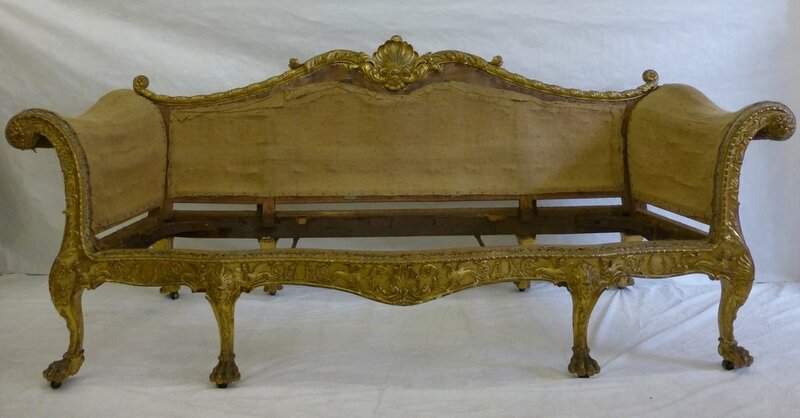 This sofa, numbered three, was restored by Carvers & Gilders for The Museum of Fine Arts, Houston in 2015/16. 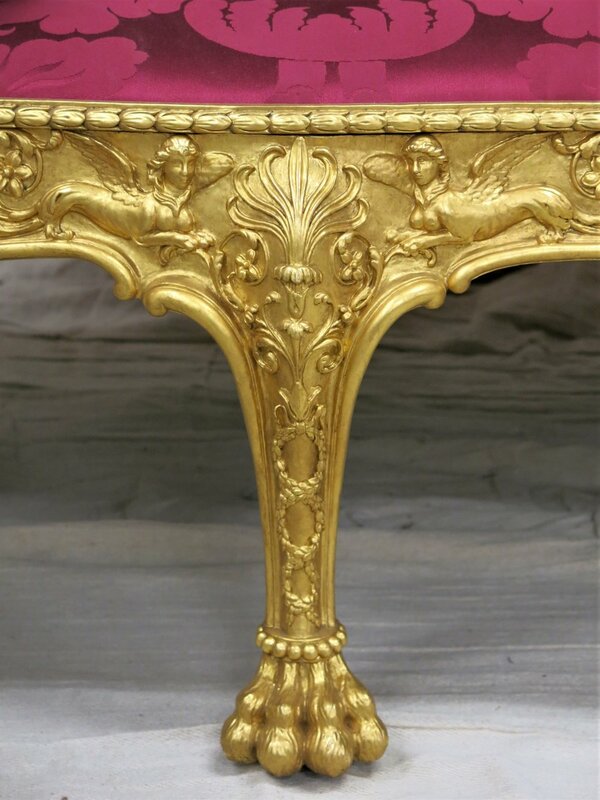 The aim of the work was to return the piece to its original intention. 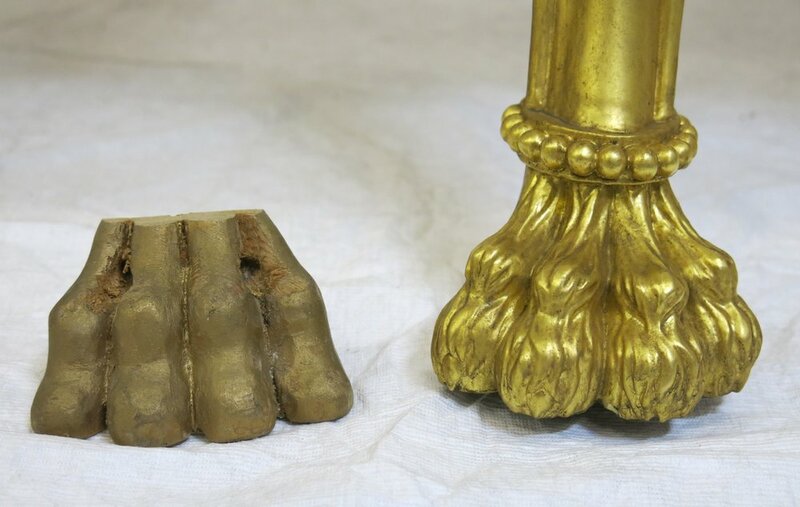 It was finely carved, thinly gessoed and oil gilded. 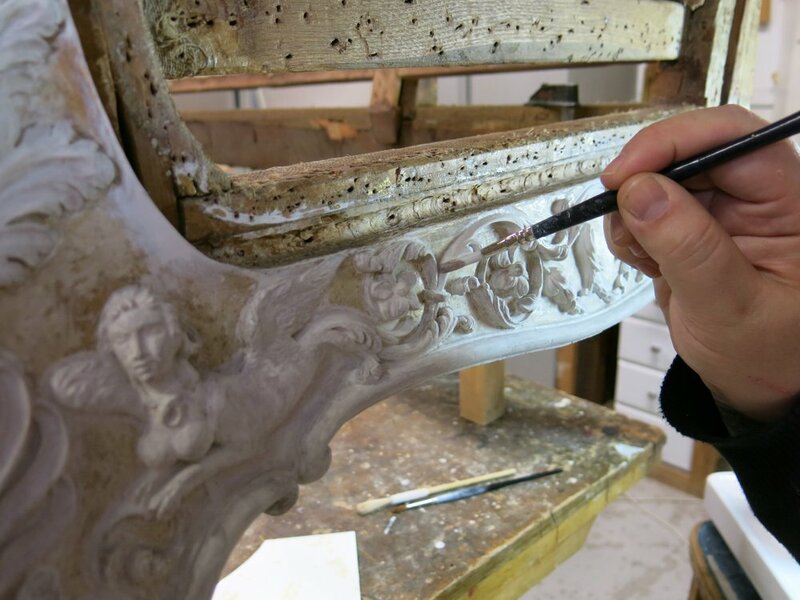 Jonathan Knight oversaw the joinery work and A. T. Cronin carried out the re-upholstery. The sofa structure is beech faced with lime and the serpentine front rail is pine and lime. Remains of the earliest oil gildings were kept and consolidated. All later water gildings were removed along with bad carving repairs. Not all later structural changes were reversed, only those which prevented the original upholstery lines being reinstated. The original curved seat bearers had been cut out for sprung seating. These were replaced. Additional tacking rail caps were removed and the carved husks were once again used as the braid which covers upholstery edges and tacks. 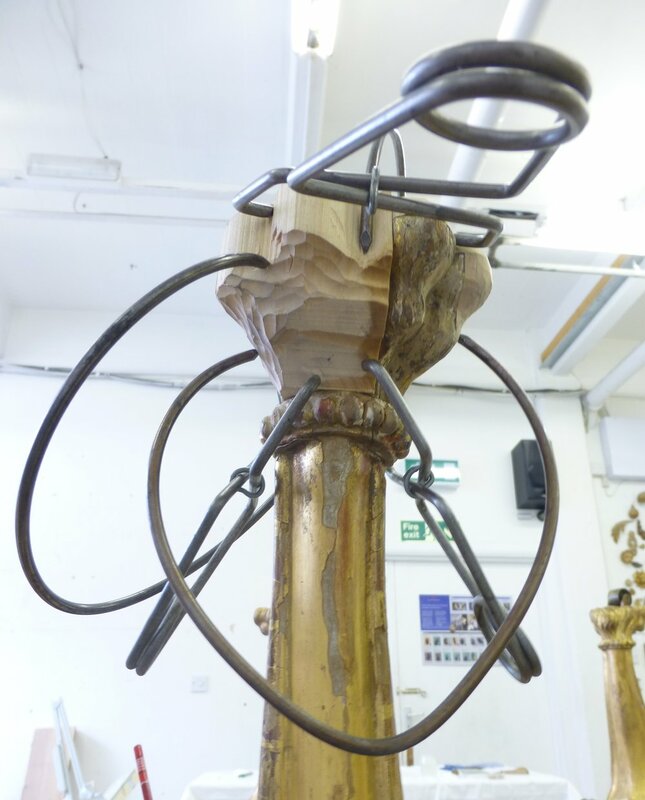 Undertaken by: Carvers & Gilders in collaboration with A.T. Cronin (upholstery) and Jonathan Knight (joinery).